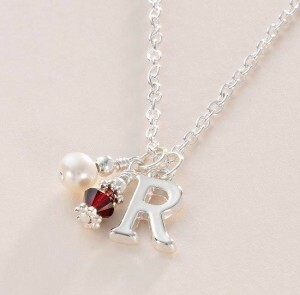 Birthstone Necklace with Letter Charm. Gorgeous freshwater pearl and Swarovski crystal birthstone charms make this necklace a gift to treasure. Pretty Silver Plated Letter Charm.